The answer is that yes, there are people who go into grocery stores and test the olive oil. The secret is out; it’s us, the North American Olive Oil Association! Our organization is dedicated to making sure that consumers in North America and Canada get what they pay for when buying olive oil. The NAOOA is the only organization that regularly tests olive oil in the United States. 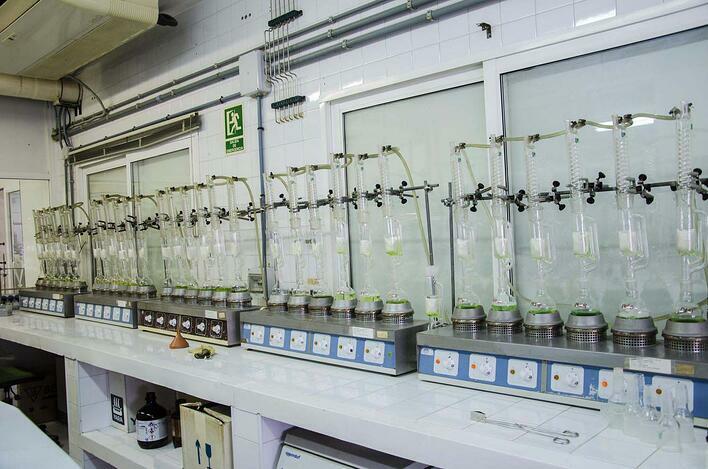 We are the ONLY organization regularly conducting the full battery of lab tests to check for adulteration - in other words, to make sure that the olive oil is not mixed with seed or vegetable oils or lower-grade refined olive oil. To do this, we purchase bottles of olive oil off the store shelves and send them to the International Olive Council (IOC) and/or the IOC's recognized laboratories for chemical testing. How does our testing differ from the tests performed by other groups? Our testing conforms to the standards set by the International Olive Council, an organization chartered by the United Nations to oversee the production and quality of olive oil. We use laboratory tests to check to see if the oil has been adulterated. Chemical testing is the only accurate way of testing to see if an oil has been mixed with seed or vegetable oil. Other groups often rely only on sensory (taste and smell) testing, which cannot determine adulteration. Sensory panels aren't always consistent in their assessments defining the difference between Extra Virgin and Virgin Olive Oil. Our samples are collected from all across the United States and in Canada - hundreds of bottles per year, every year. Other reports focus on a handful of samples, usually from only one state. We test year round, year after year. It's part of what we do! We test olive oil in addition to extra virgin olive oil. Other groups have focused only on tasting extra virgin olive oils. If we find an olive oil that isn't in compliance with the IOC standards, we inform the supplier/brand owner. We have also shared results with the US Department of Agriculture (USDA), the Food and Drug Administration (FDA), and state health authorities as needed. We have taken legal action against fraudulent olive oil sellers in the past with a successful outcome. What do we find in our testing? Out of hundreds of samples tested each year, brands with any issue represent less than 2% market share combined. This mean the overwhelming majority of olive oil and extra virgin olive oil available in stores is authentic, good quality olive oil. Keep in mind that extra virgin olive oil flavor changes over time, and can be affected by bad handling such as long-term heat and light exposure. Consumers should check the best by date and choose bottles with dates that are farther out, and be sure to store your olive oil in a cool, dark place to maintain the quality. Claims of olive oil fraud are blown way out of proportion. Nearly every report cited as evidence of "fraud" involves only taste test results (or no testing at all). The NAOOA's random sampling and laboratory testing - the only program of its kind in North America - consistently finds the overwhelming majority of olive oils on store shelves are absolutely authentic and good quality according to IOC standards. Consumers seeking an additional level of assurance can look for olive oils certified by the North American Olive Oil Association. These oils are subjected to both chemical and sensory testing. These oils are produced by manufacturers who have agreed to additional testing and bear our seal of certification.